Tetlow King Planning (TKP) is continuing to promote the former Hawkesbury Golf Course for development. TKP was initially appointed by the land owner to submit planning applications for the site which were subsequently subject to planning appeals and were called in by the Secretary of State because of the site’s location in the Green Belt. Working in conjunction with leading Counsel, Jeremy Cahill QC of No.5 Chambers, TKP was able to persuade senior Planning Inspector, Jessica Graham, to recommend approval of 200 houses and a 150 berth canal marina in the Green Belt to the Secretary of State, following a public inquiry. Unfortunately, the Inspector’s recommendation was not ultimately accepted by the Secretary of State, who chose to dismiss the appeal, albeit still granting a full award of costs to the Appellant. TKP has been actively promoting the site through the development plan process and has successfully secured an allocation in the proposed main modifications to the Borough Plan. During the course of the Borough Plan’s development, TKP has worked collaboratively with Nuneaton and Bedworth Council and the highway authority Warwickshire County Council to secure the allocation which included the agreement of two statement of common grounds on planning and highways matters. 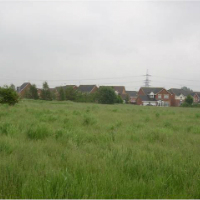 The site is previously used land and scores highly in the Council’s Sustainability Appraisal which recognises that the site is situated in a sustainable location and the proposals constitutes sustainable development. The Green Belt Study recommends the site be released from the Green Belt and the Council’s evidence base supports allocation of the site ahead of other site allocations. The Inspector’s report on the Borough Plan is anticipated in early 2019 with Borough Plan adoption in Spring/Summer 2019. TKP will be preparing a planning application for 380 dwellings and significant community benefits including a public park in 2019.